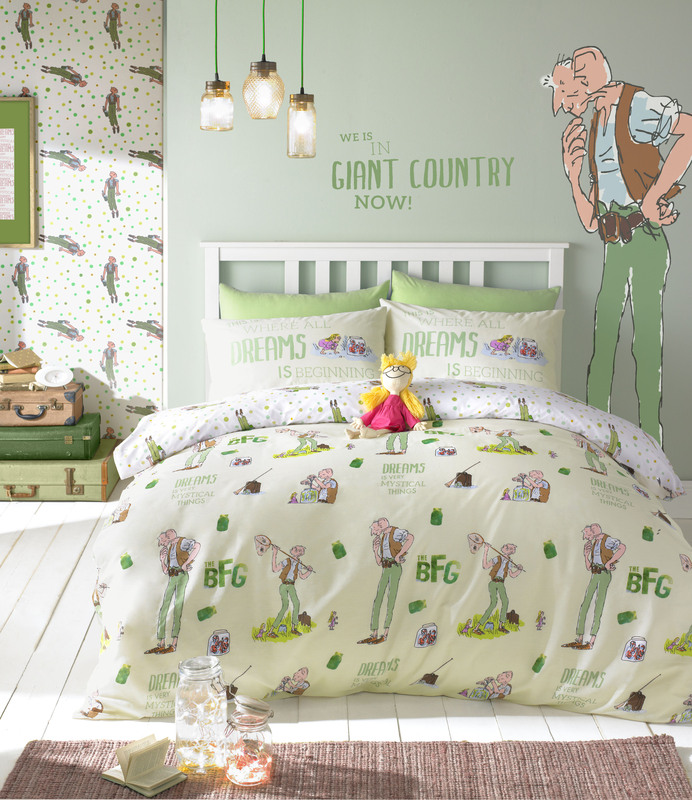 This adorable BFG bedlinen will delight little children everywhere. Quentin Blake’s wonderful illustrations show the nicest ever jumbly Giant and an array of dream jars in Giant Country, with best friend Sophie. Favourite quotes run across the cream face, whilst the reverse features another illustration of the BFG midst lime and mint polka dots, on a crisp white background. 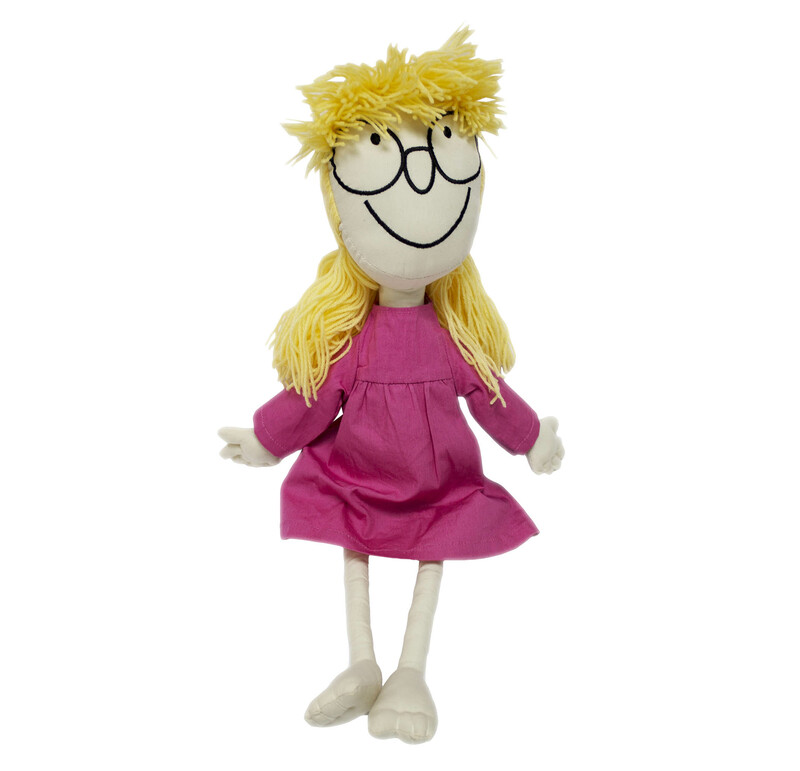 The sweet Sophie doll cushion with embroidered glasses and and detachable pink dress completes this magical dream story perfectly. Please note: Single Quilt Set includes 1xPillowcase while Double includes 2xPillowcases.